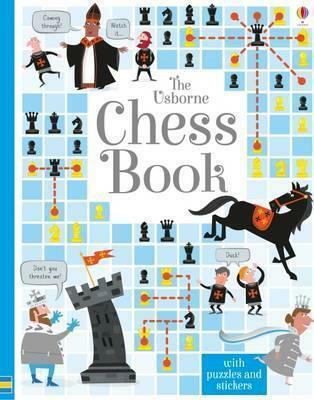 The Usborne Chess Book (HB). Type: BOOKS. Detail: BOWMAN, LUCY. Product Code: 9781409598442. Crack the hidden codes, capture the king on the run and rescue the rooks under attack in this zany but clever activity book. This book gives a whole new dimension to the game of chess, allowing children to hone their problem solving ability. Bursting with interesting activities and brilliant hints and tips, this will help sharpen chess skills, while also encouraging children to think strategically and tactically, a great way to exercise cognitive skills. Hilarious illustrations bring the chess pieces to life and help children to visualise the rules and logistics of chess. A clever activity book that will test readers logic and strategic skills, much like the game of chess. Filled with games and puzzles to entertain, this book is guaranteed to keep children in check for long periods of time. Spiral bound, hardback, 66 pages.